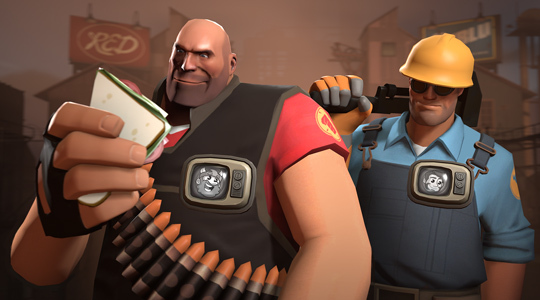 Discussion in 'Team Fortress 2 Talk' started by tf2.com, Dec 1, 2015. Yogscast just opened their yearly charity fundraiser: the Jingle Jam 2015! Donate at least $5 to receive two unique, custom-made TF2 items. If you're feeling particularly greedy, you can donate $25 to receive a host of awesome games, like Chivalry: Medieval Warfare, Medieval 2: Total War, Torchlight 2, and many others. And remember, 100% of the proceeds go to amazing charities like Oxfam, Doctors Without Borders and Mental Health Foundation. So head on over and join the festivities! Remember when they put Simon in Sonic and All-Stars Racing Transformed as a playable character? That was surreal.